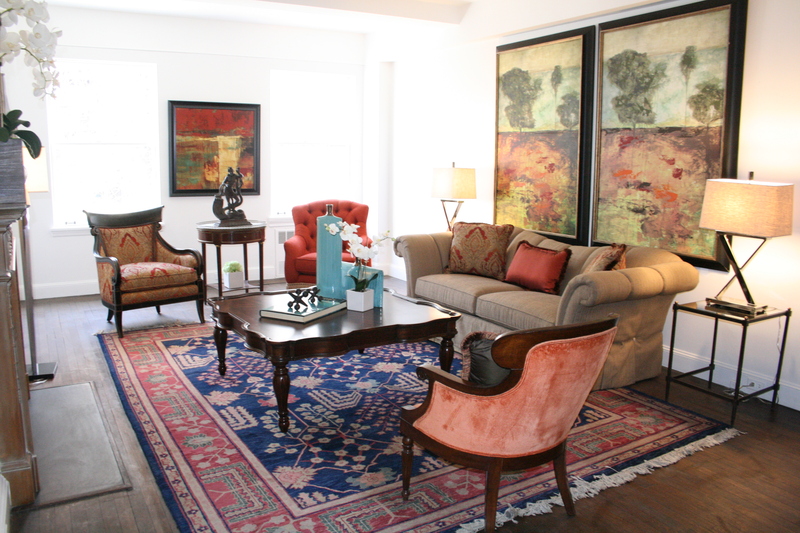 Home Staging Secrets: Use Contrast! ≈ Comments Off on Home Staging Secrets: Use Contrast! When staging a home, it’s easy to take the safest route and avoid any type of contrast in their décor. Staying relatively neutral is a great strategy, but a monochromatic room is dull! Don’t be afraid to add pops of contrasting color for a little flare. 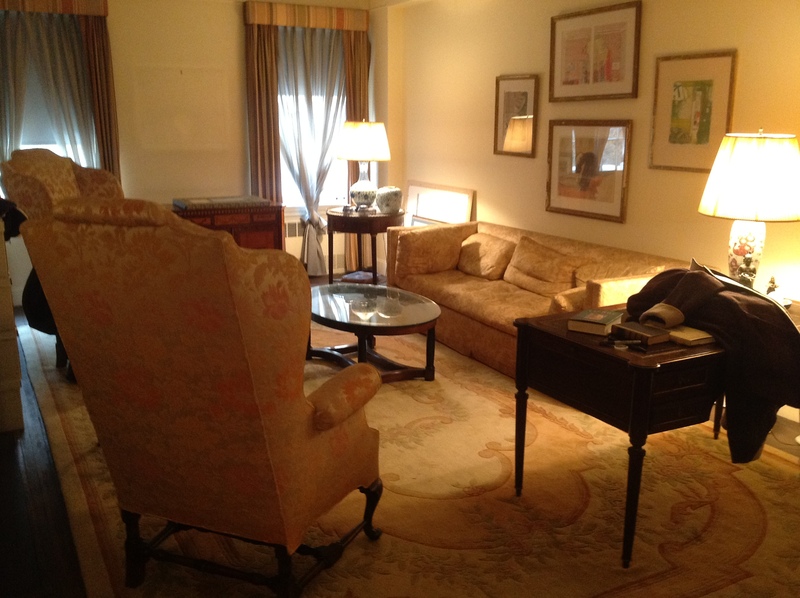 In this before photo, the beige color scheme overwhelms the room. The eye isn’t drawn anywhere in particular, so the room appears to be drab and dull. As you can see in the after photo, the room was given a fresh update by combining red and blue accents. The eye is drawn quickly to the teal vases on the table and then drawn outward to the red accent pieces along the perimeter of the room. A focal point is instantly made, and the room appears brighter and larger. Home Staging Secrets: Let In The Light! ≈ Comments Off on Home Staging Secrets: Let In The Light! For many people, their first instinct when furnishing a room is to place all furniture against a wall – even if that means partially blocking a window. But when you’re staging your home to sell, this should be avoided whenever possible! Windows are an important aspect of a room – they have the potential to make the space look bigger, they can be highly attractive with the right window treatments, and most importantly, they let in natural light. This home in Atlanta, GA for example, looked dark, cramped and a bit dingy when the windows were blocked off. Once the furniture was rearranged, the room was instantly opened up. By facing a sofa toward the window, a balance was created and the room did not appear lopsided or cramped. Plus, it created a great, unobstructed light source! 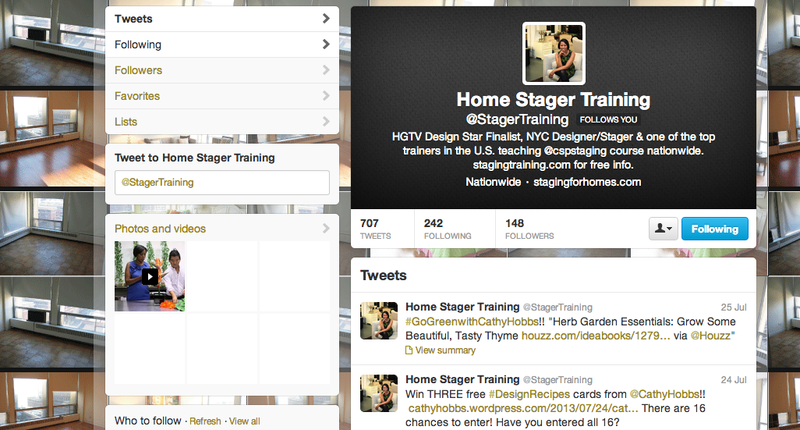 Have you signed up for one of my Stager Training courses? Find the course nearest to you here! I wanted to take this opportunity to make sure you all know exactly where to find me and my expert home staging tips online and in the social media world. If you are on Houzz, I’d love to invite you to follow and connect with me there! I post ideabooks, projects, and more! I have a Twitter account dedicated solely to my home staging expertise. This is where you will find important, in the moment information on class dates, updates, launches, shoots etc! Have you been a part of one of my home staging classes? Would love to hear from you! Pinterest is the BEST place for inspiration and it’s fun to keep in contact through this virtual pinboard. 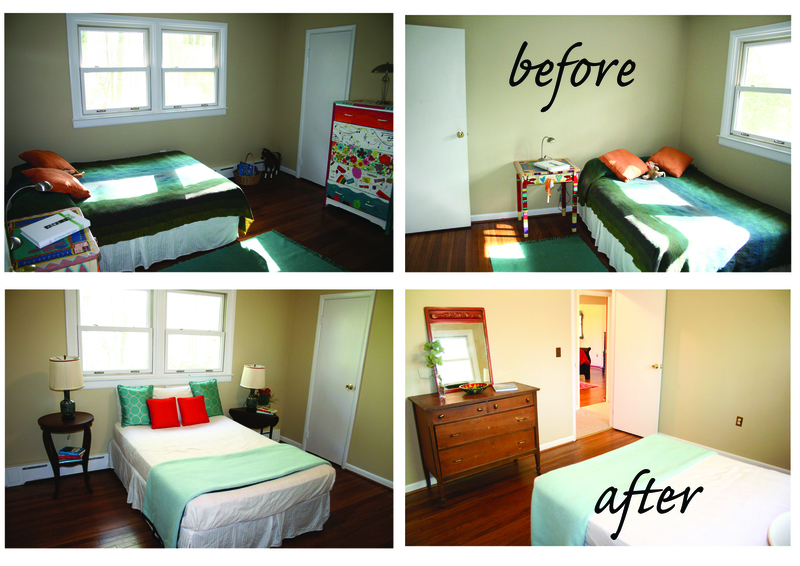 I will also post my recent home stagings and pictures from classes! Be sure to also LIKE Design Recipes on FACEBOOK and FOLLOW Design Recipes on Instagram, Pinterest andTwitter! Cathy Hobbs: Home Staging Gone Social! ≈ Comments Off on Cathy Hobbs: Home Staging Gone Social! Are you on social media? I would love to connect with you! Feel free to reach out to me on any of these platforms or comment below on the blog! Design enthusiasts, real estate agents, professional organizers, interior designers, if you are looking to be receive the most prestigious certification in the HOME STAGING BUSINESS, this class is for you! I will be teaching the prestigious 3-day Certified Staging Professionals Course, July 20-22, 2013 on LONG ISLAND, NY! Are you a non-credentialed stager? Want to sharpen your skills? Or would you like to join the lucrative world of Home Staging? THIS is the perfect opportunity to earn what I believe is the TOP designation in the business. Contact 888-STAGING or http://www.stagingtraining.com for details! Want to learn more about the class, click here for to view my video about everything CERTIFIED STAGING PROFESSIONALS has to offer! 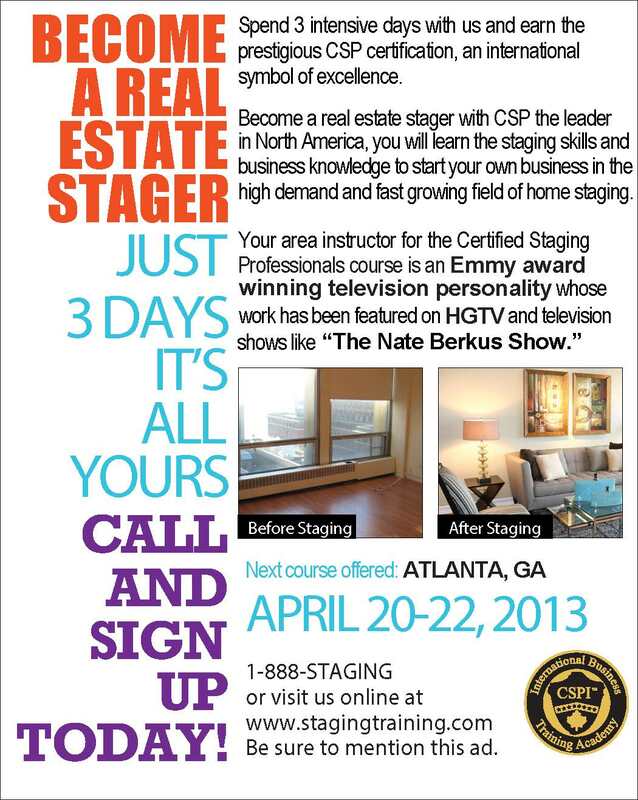 After two amazing classes in the last year, I will be teaching the prestigious 3-day Certified Staging Professionals Course, April 20-22, 2013 in ATLANTA, GEORGIA! Home Staging Secrets: Be My Guest! ≈ Comments Off on Home Staging Secrets: Be My Guest! Be excited to host your friends and family! 1) Bedding – Don’t choose something extremely multicolored or patterned. A room looks nicer and welcoming if it has a neutral feel. Think about hotel rooms, most come with neutral shades that complement each other and provide a warm, clean atmosphere! 2) Furniture – Get rid of child-like furniture that is hard to match with anything. Having mature, single-toned furniture like the dark wooden nightstands makes the room feel more “grown-up” and elegant. 3) Toys – Move all toys or unused items to the attic or basement. Typically items like these are left unmoved and sort of become “part” of the room. Think about items like these that you may have in your house and make a conscious effort to clean up and organize. 4) Lamps – While there is a reading light in the before stage of the room, it seems very teenage-like because of the quality. Instead, find two matching lamps to bring symmetry to the room. Symmetry is always nice if you have a couple or pair of people staying over. Stores like HomeGoods, TJ Maxx, and other discount retailers often bring in unique items that are extremely affordable! They also tend to have sets of two for lamps and accessories like nightstands for the purpose of highlighting symmetry in a room. I hope you’ve found these redesigning tips to be helpful and check back next week for another Home Staging Wednesday! Also-be sure to check out both my Cathy Hobbs Twitter account (@CathyHobbs) and my personal Design Recipes account (@DesignRecipes). The countdown has begun! There is less than a month left until what is truly one of the most exciting home staging events of the Fall. The prestigious 3-Day Certified Staging Professionals course will be returning to the Baltimore/Washington Area — with the 3-day course held in Columbia, Maryland –-NOVEMBER 30-DECEMBER 1, 2012. Columbia, Maryland is a wonderful enclave located in Howard County, one of the most active real estate markets in the state of Maryland. If you are looking to become a Certified Home Stager by the best program in the business — this is the class you have been waiting for! 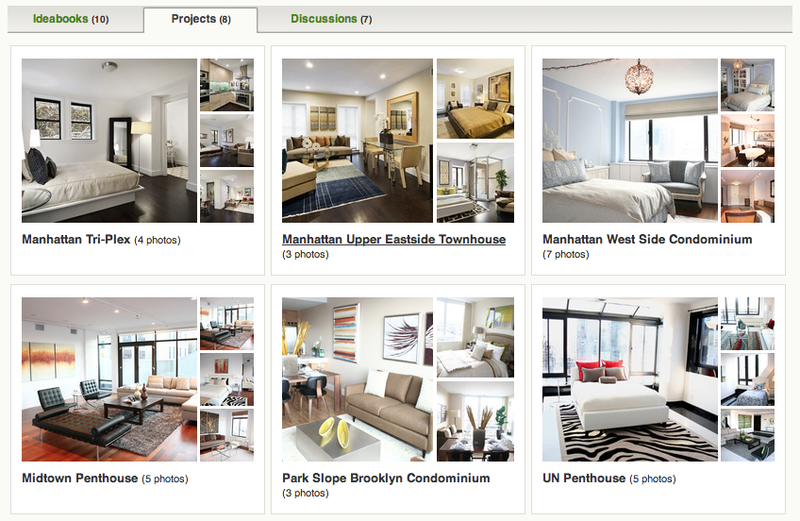 Real estate insiders, interior designers, professional organizers, design enthusiasts! The countdown has begun! I am very excited to be teaching the prestigious 3-Day Certified Staging Professionals class October 14-16 at Las Positas College in Livermore, California. Looking for more info? 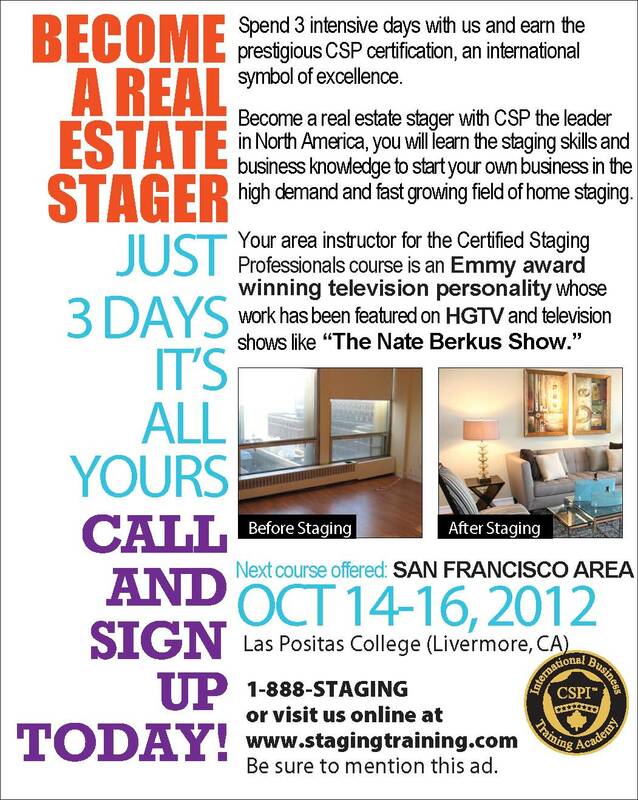 Call 888-STAGING or go to http://www.stagingtraining.com for FREE info! The countdown has begun! I am very excited to be teaching the prestigious 3-Day Certified Staging Professionals class October 16-18, at Las Positas College in Livermore, California.